After many hours of flight, we arrived at the airport in South Bali on Thursday, the 16th of January. 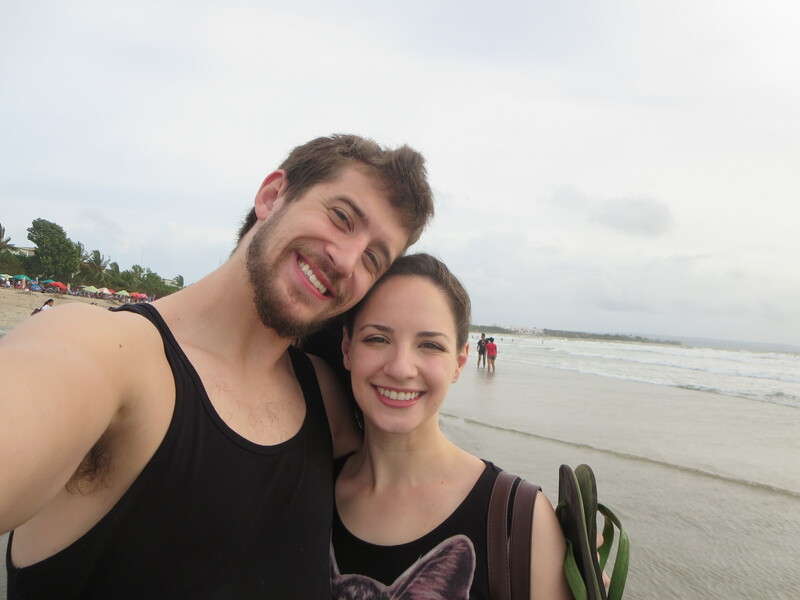 We were pretty excited when we left, since this is the first time either of has been south of the equator. After landing, we got off to a rough start by paying way too much for a cab to get to our hotel where we promptly checked in, dropped off our stuff, and passed out. I vaguely remember being impressed by the airport’s architecture, and some of the blurry objects that flew by the cab window, but when I think of that night, all that comes to mind is a bone deep sense of weariness. Let this be a lesson to me: DON’T BOOK FLIGHTS THAT LAND AT 3AM!! That was seriously dumb. The next day we awoke to the beautiful Bali weather. Yeah, maybe it rains really hard every now and then, but the weather here is seriously…accommodating. We left our room, grabbed breakfast, and walked around a little bit. The first thing we discovered: Australians. Everywhere. Turns out, Bali is a short flight from Northern Australia, and therefore constantly overrun by Aussies. We like their accents, and they usually are pretty decent people. Enthusiasm for the pool faded, the grumblings in our stomach grew, and we decided it was time to get the show on the road. We ran back to the room, changed, and split for dinner. My food came late, but it was alright, so we were generally pleased. After dinner we decided that we should check out some of the local entertainment, and since Kuta is mostly known as the “party place” in Bali, we found ourselves in a string of increasingly odd, increasingly expensive clubs. We had some arak, a potent local alcohol, but quickly decided the deafening music and the expensive drinks just weren’t for us. We found our way back home and slept. Day 2 started out with more hotel breakfast and culminated in a trip to Ubud, a city located about one hour’s drive towards the interior of the island. It was delightful. There was a monkey forest full of non-poop-flinging monkeys, a suckling pig restaurant that only served lunch (drat! ), and a “Monkey Dance.” The Monkey Dance is traditional in Bali and involves a lot of intriguing chanting, dancing, and fire kicking. No monkeys are actually involved. The monkeys are found in the forest, which has a temple complex that is, simply beautiful. Also in the forest: bats. Adrianna felt at one with the monkeys. Day 3 is a blur of stomach pain. I ate or drank something bad, resulting in a day that I spent oscillating between bedridden and bathroom bound. By all accounts, Adrianna had a delightful day sunbathing at the pool (I know, Susan, pools are dumb this close to the ocean) before she kindly brought me back some Mexican food for dinner. The enchiladas were delicious, and the first food I was able to stomach all day. I woke up on Day 4, our last full day, with a ravenous hunger. The stomach bug I had been battling had left, but in it’s place was a gnawing monster demanding the food I couldn’t swallow yesterday. I obliged; my stomach lead us to a weird pancake place, where Adrianna’s food was sad and terrible and mine was delicious. 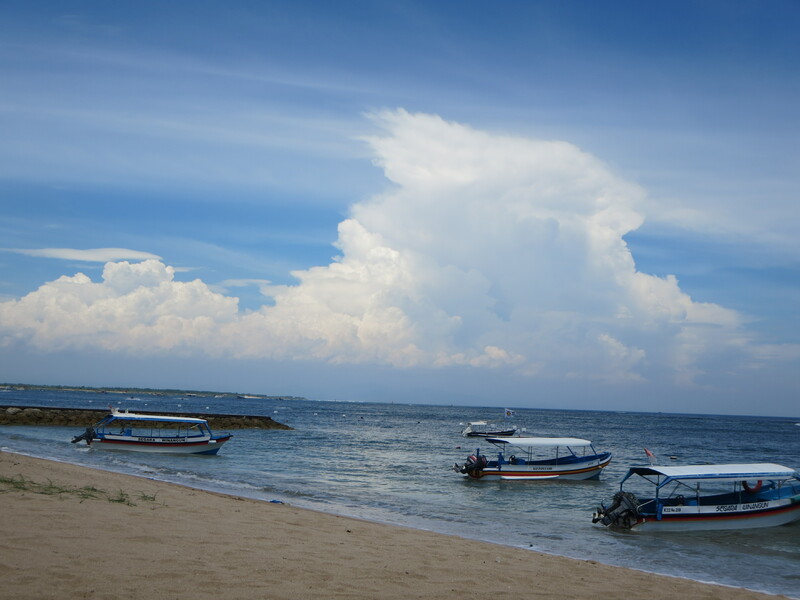 Determined that we would swim on a beach, we jumped in a cab heading south to Nusa Dua, a more resort-oriented area with better beaches. We found our spot and planted, enjoying the warm Indian Ocean and the sweltering Bali sun. 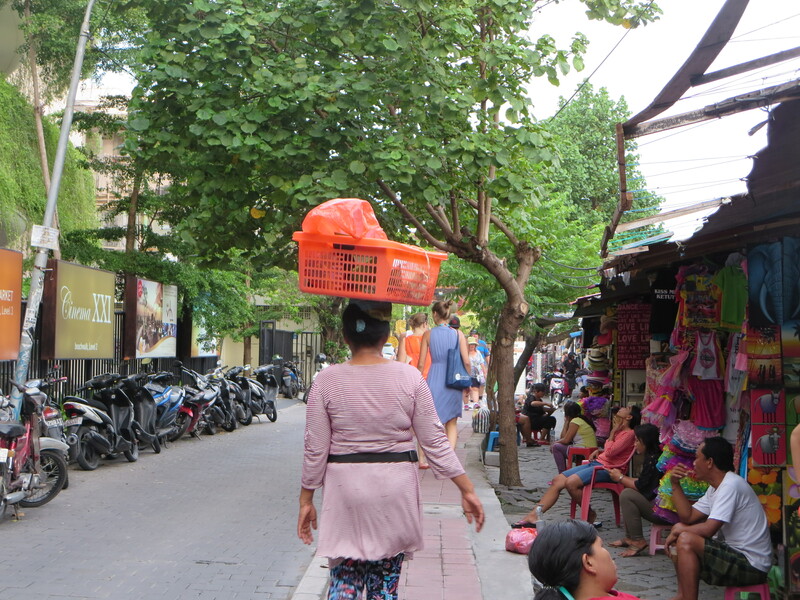 Here we found what we had expected in Bali: calmness, tranquility, and only one or two people trying to sell me stuff. Which brings me to my final point: the selling. Bali is without a doubt the most capitalist place I have ever been to in that everyone here who is not a tourist seems to be selling something. Massages, t-shirts, sunglasses, transport, adventures, tours, dances, jetskis, surf lessons, and more were offered to us literally hundreds of times in our four days here. It was overwhelming. On my last night here I still feel like I have no real idea how the people of Bali live, or what they do when they aren’t hawking goods to tourists. Tomorrow we leave for Singapore, another great world metropolis. 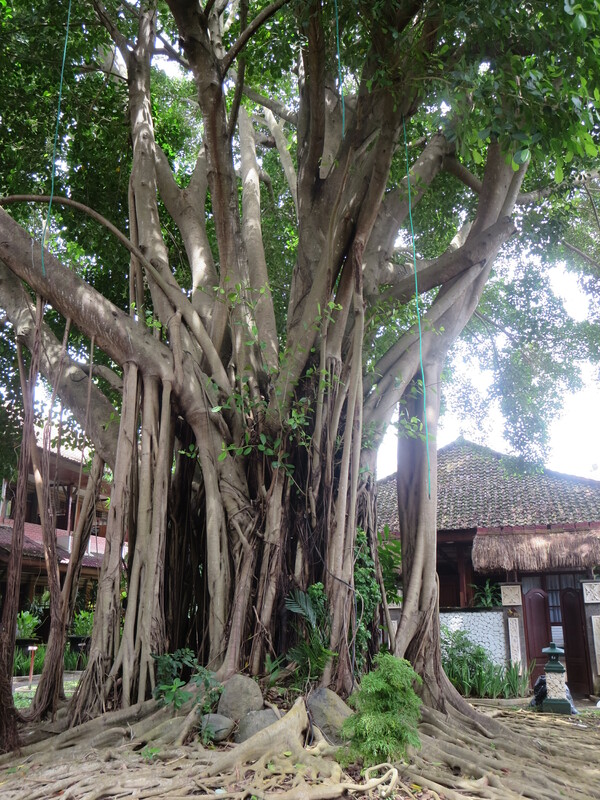 Bali wasn’t necessarily a let down, but it wasn’t what I expected. Hopefully Singapore, where I will definitely not come down with a stomach illness, will show me a more genuine side of itself. Dude, Mexico was the same way. The worst was at the Chichen Itza’s. It’s this beautiful place, isolated area, and the ruins/campus are gigantic. But along every path to the next site, there were tables and tables of people and people, and they were all trying to sell or bargain, the cheapest most touristy items. Glad you had fun though, it looked perty.